As you are reading this I am in DC and this post is written on Saturday so I can’t tell you how I am doing, but I hope that everything is good and I am having a good time. Good but busy. And I hope you all had a beautiful weekend! Summer sunshine is a wonderful thing and I hope you got to spend some time in it! I have some good news to share as well. 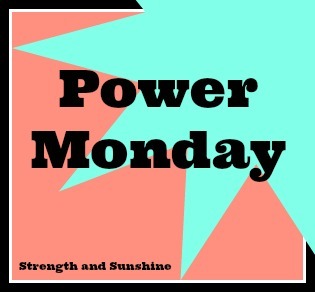 Next week I will be opening Power Monday up as a link-up! Anyone can link up their Monday post as long as it is a powerful message and gives everyone a boost into the week. Something inspiring, thoughtful, or even a good sweaty workout! We will see how it goes from there, but I am excited to finally get you all involved more with these posts! Today I want to talk about failure. Pretty upbeat right? Don’t worry, it will be, I promise! Two weekends ago I made some pancakes. Well, yea, I do that every weekend. But I tried a new version, like always, which included coconut flour and hemp protein. The pancakes came out great and I savored every bite. Then on Sunday I decided to use the same recipe for waffles. Well everything was going fine, I poured the good mixture on the hot iron, waited for the light to indicate they were done, opened the iron, and feasted my eyes on defeat. Failure. Coconut flour is a tricky thing it cook with to begin with, especially when using it in a vegan recipe. Plus waffles are less forgiving than pancakes as you have no say in the process until that little light tells you it’s done. I took this failure and accepted it however. I dolefully scraped my “waffle” off the iron and piled it on my plate. I didn’t feel like getting all my ingredients out and making it again, so I just poured some chocolate sauce on the pile of crispy dough and prayed it might still taste decent. And guess what?! They did. They actually tasted fantastic, just like the pancakes, they were just presented in a different form. Heck, I liked my “waffles” this way! It was fun to eat and I felt no shame. Just because you perceive something as a failure, doesn’t always mean that it is one. 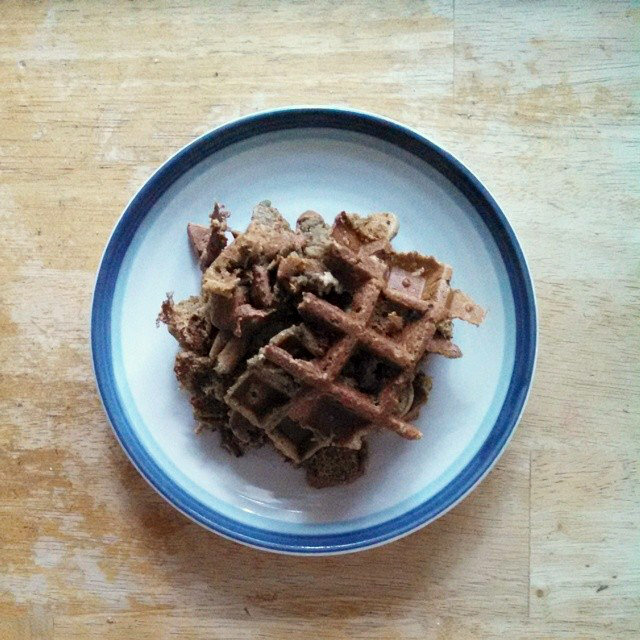 I actually wish I could recreate this “fail” or somehow get you all to try it and “fail” too just so you can have a unique waffle-mess breakfast. So that brings me to what I really wanted you to get from this Power Monday post. Failure does not mean it is the end of the world or that you have failed as a person. You might have made a slip-up or gotten something wrong, but you will always learn from that failure. I learned that that pancakes recipe does not work as a waffle recipe. 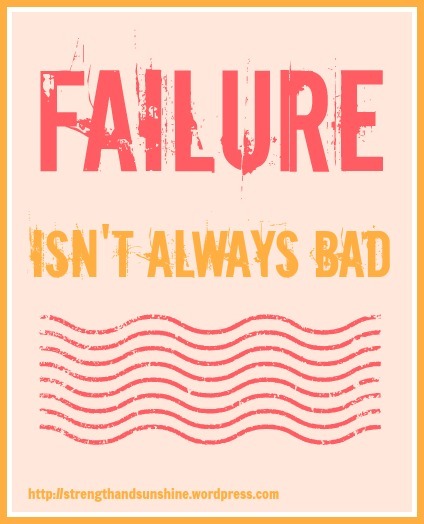 Your failure also might end up as a success depending on if you are willing to see it that way. My waffles ended up being my favorite breakfast all week. Failure is an option, not a fact. It is something you choose, it does not choose you. You may not win or the failure may not give you something good, but you will always learn and always grow. You will always have a chance to be better as long as you don’t give up! Take all you failures and make yourself stronger, wiser, and happier in the end! Now how about I share that recipe with you all. I don’t think it’s a failure. It works perfect as pancakes and perfect as a waffle mess! + In a bowl combine all dry ingredients and give it a mix. Then add your puree, water, and stevia. Stir until you get your perfect batter. + While it sits, heat a pan wiped with coconut oil over medium heat. Once the pan is hot pour 1/2 or 1/3 of the batter on the pan and smooth to a circle. Cook for 3 to 4 minutes, flip and cook an additional 3 minutes. Repeat for the rest of the batter. + To serve top them with whatever you’d like! 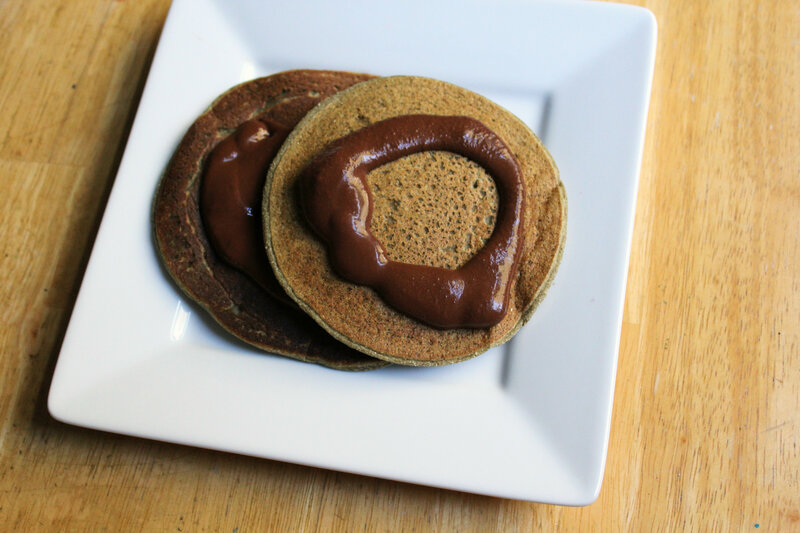 I used a hemp protein chocolate sauce. 1 TB hemp protein + 2 TB unsweetened cocoa powder + 5 drops vanilla stevia + 3-4 TB water! Failure? I think not! Enjoy you failures, success, and everything in between! That is life and you make your own success. You can choose to be successful or you can choose to give-up! I choose success! + Have you had a recent failure that turned out to be a success? + Has anyone ever called you a failure? Have you called yourself a failure? Hemp is so good! Its really light and you don’t taste it at all! Thank you for sharing this with Healthy Vegan Fridays – I have pinned your recipes on our Pinterest Board. Great post! I love the part where you say “failure is an option.” Great post! Thanks Gabi! It really is! I never let a “failure” stay a “failure”! So good that you can embrace failure at this stage in life. My dear husband takes it so hard. I guess I’m desensitized by it because I’ve had that rendezvous a little to often for one life not even 40 years long! I use Organic Stevia in my Organic Coffee in the mornings because I’ve become aware of the glucose tolerence cycle our body goes through. That being said, I need to rethink that because stevia is so processed that it’s not so much better than processed sugar can. It has the GT advantage, but so would not using sugar. Anyhow- Great recipe! That was confusing, but the stevia I use isn’t full of fake chemicals, haha! I too have had a lot of failures – when you are trying to make recipes it always trial and errors and at times more error than trial, but it usually ends up being worth. 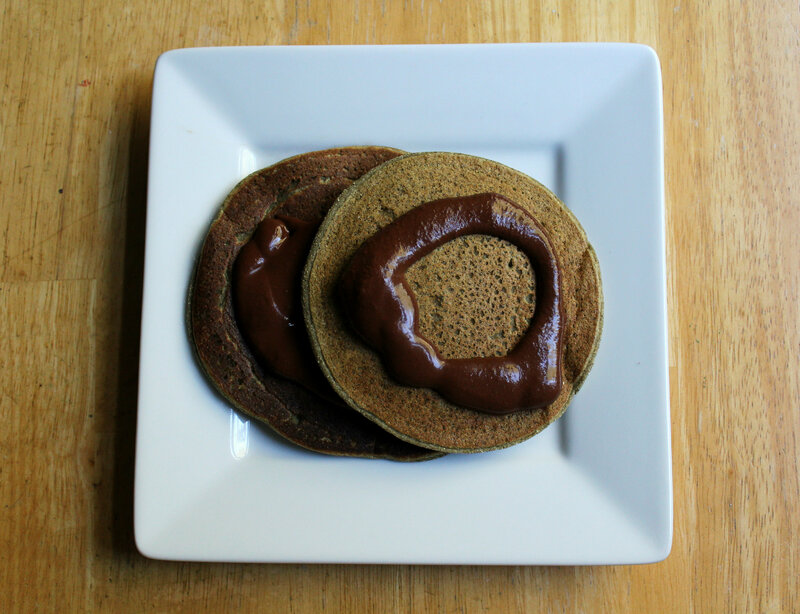 Thanks for sharing this great pancake recipe on Real Food Fridays Blog Hop. Hope your having a great time in DC! Exciting news about your link up! You go girl! I always try to look at failure as a positive. Sometimes it harder than others but in the end I can usually find something good to look to about the situation! O its been an adventure! as human being, i hate failure. but i take it as motivaiton and a lesson to keep fighting! and thank you for the recipe, they look delicious! If you hate it you don’t have to accept it and settle! Great post! No one has ever called me a failure (I’m one of those 4.0, perfectionist students that always ruins the curve), but I’m guilty of calling myself one when I lose weight (still underweight because of celiac) or do something wrong. Now, though, I’m focusing on changing my perspective and though I’m a work in progress, I’m not failing! PS – food failures are the absolute TASTIEST!! Its a winner 😉 Hahaha! This is great Rebecca, you are so right. When I was struggling with my running years ago, I went to see a sports psychologist, and he helped make things “click” in my head, but one of the things I remember more than anything, is that he said sometimes you need to put pickle juice in your cake mix as even though it may taste disgusting, you never know, you may hav just created the next best thing. We need to let go of perfectionism and allow ourselves to make mistakes to learn from. This is a perfect example of that! I love the pickle juice analogue too! Its the unexpected things for sure that can bring the best in life! I’m one of those people who HATES failure, but you’re absolutely right, it’s not always a bad thing! Those pancakes AND waffles look really tasty! 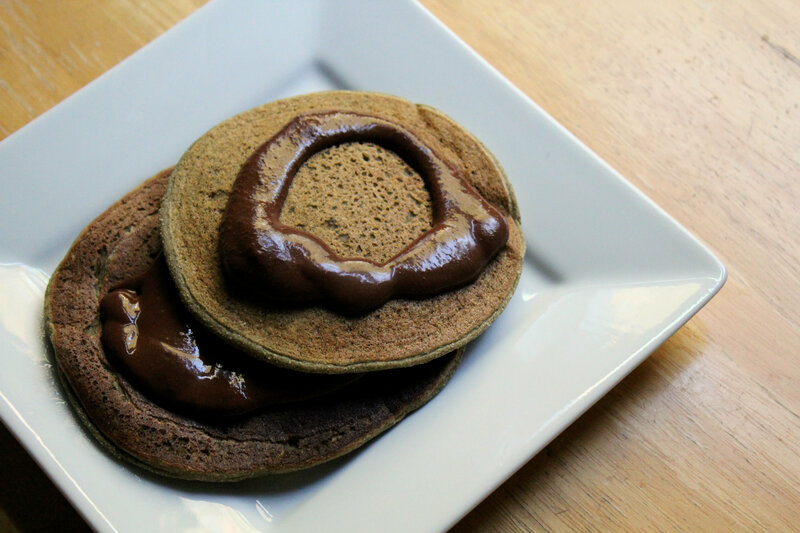 I need to try to make a healthier pancake! You don’t have to fail if you don’t WANT to! And healthy pancakes are always a success! I treat every failure as a lesson in life. No matter what, you learned something from the experience. Sometimes you move on to something else, other times you pick yourself back up and try again. Exactly. Life is all lessons and learning and the drive we have to continue! It’s how we learn what doesn’t work, right? Sometimes I feel very defeated after a failure, but you’re absolutely right in saying we just need to pick ourselves up and try to make the best out of the situation. The pancakes *do* look very tasty, and if you gave me those waffles, I’d eat them too! Good luck with the Trich and don’t give up!